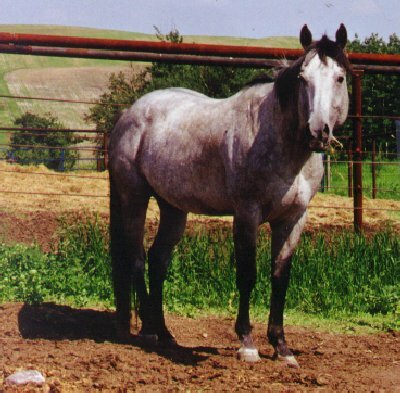 Brio Fritz Cashbar - grey quarter horse stallion: running pedigree with working cow. Halter, Racing, Performance, Legend Status and Hall Of Fame. Fritz is a very well mannered stallion. He stands 14.2 hands high. He has great conformation and style. We hand breed with him plus pasture breed. Fritz is a real gentleman with them. 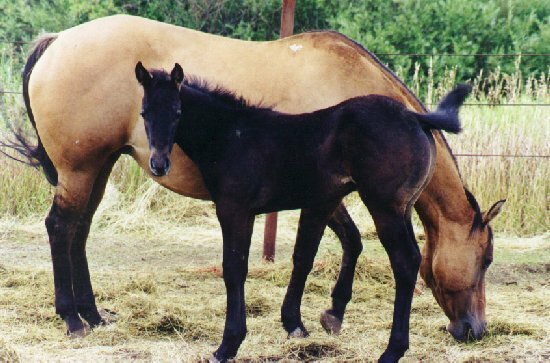 Fritz's maternal sire is Royal Oak Chex. There is lots of old legendary horses in his pedigree. 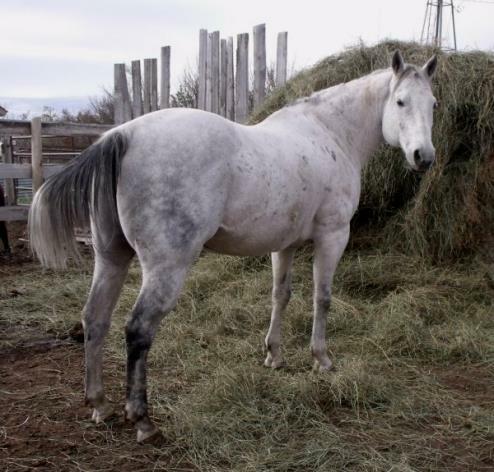 Fritz is heterozygous to the grey gene meaning that 50% of his foals will be grey while the other 50% will be different colors (depending on who he is bred to). I have heard from some of the new owners of his foals and they are very please with them. "Saying they have great minds and willing to please attitude". 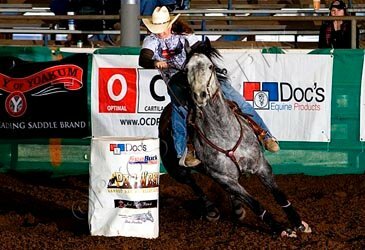 His older foals are being used for team penning, working cow, guide horses in the mountains, trail, barrel race, reining, horse shows and feedlots. 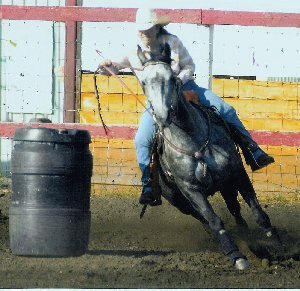 Proven Sire of money earning gets in Barrel Racing, other time events, Halter and Western Pleasure. 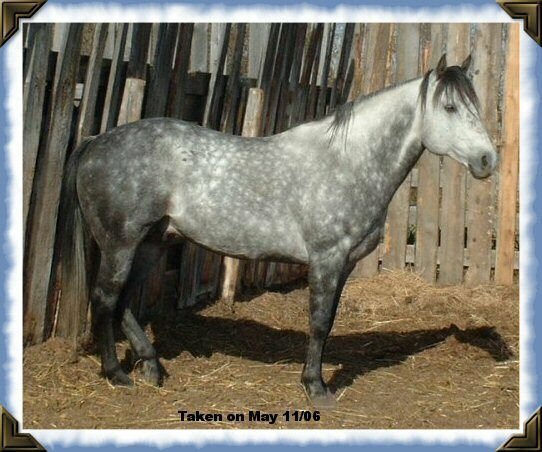 Click on Fritz's sire and dam names below to see pictures of them. One of Fritz's foal - DBF Skipadash Jewel performing in the CARA circuit (2010) They are in the top 5.